Alisson has been given plenty of credit for that since he joined from Roma last summer, but in fact, of those keepers who have played every match this season, only Manchester City's Ederson has made fewer saves than his countryman. That's because he's had Virgil van Dijk in front of him. The Dutchman has been a rock at the heart of ​Liverpool's defence, a constant presence in a back four which has been hit hard by injuries lately. Van Dijk's brilliance is underlined by a remarkable statistic which somehow remains true even at this stage of the season - he still hasn't been dribbled past by any opponent in the Premier League or Champions League! 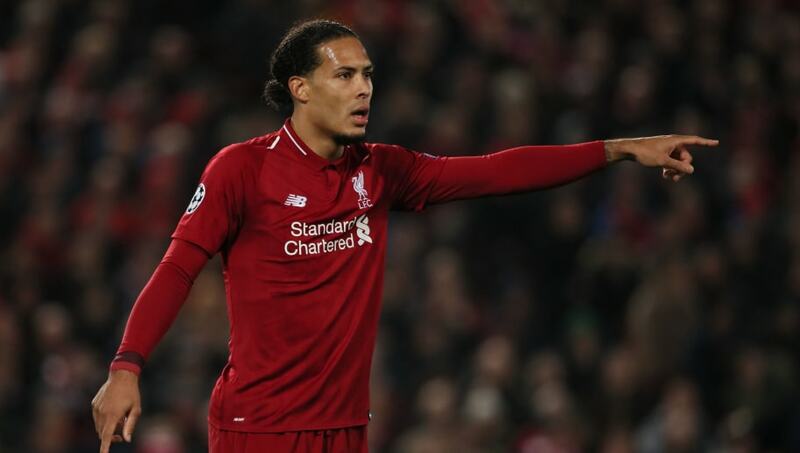 Given the calibre of opponents van Dijk has faced this season - Raheem Sterling, Eden Hazard, Neymar, Kylian Mbappe - that's a pretty impressive feat, and shows how important he will be to Liverpool's title hopes. Liverpool's defence has been less impressive recently, conceding three goals against Crystal Palace and looking very ragged against Leicester and West Ham, but things would be a lot worse without van Dijk. He will be much missed in the first leg of Liverpool's Champions League last 16 tie against ​Bayern Munich in two weeks, for which he is suspended after picking up two yellow cards in the group stage. With van Dijk's favourite defensive partner Joe Gomez out injured, that means Joel Matip and Dejan Lovren will start together against the Bundesliga champions.